Reefer Trucking - Corcoran Trucking, Inc.Corcoran Trucking, Inc.
Our fleet of 53’ food-grade reefers are impeccably maintained, and ready to haul whatever dry, cool, or frozen load you need moved. With Dave covering the eastern states, and Kerry hauling across the West, Corcoran Trucking has you covered coast-to-coast for all of your refrigerated needs. Call or email us today for peace of mind on your next shipment! In today’s highly connected society, a wide array of consumer products from computers to car parts are routinely transported across the country by tractor-trailers. Given the country’s growing population, it should come as no surprise that one of the main categories of products being transported is food. Often, though, food products require special considerations during transport such as refrigeration or freezing. That’s where refrigerated trucks come in. Also known within the trucking industry as reefer units, reefer trucks, or simply reefers, these specialized heavy-duty trucks allow food to be transported all the way across the country without the threat of spoilage. It’s important for those who are interested in driving these specialized trucks to understand that transporting perishable foods comes with a good deal of extra responsibility. Whether readers are already working within the transportation field and want to take their trucking experience to the next level or they’re interested in learning more about making the switch to trucking from another field, they can find the information they need to get started below. 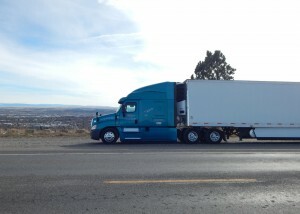 Refrigerated trucks can be either tractor-trailers or straight trucks. 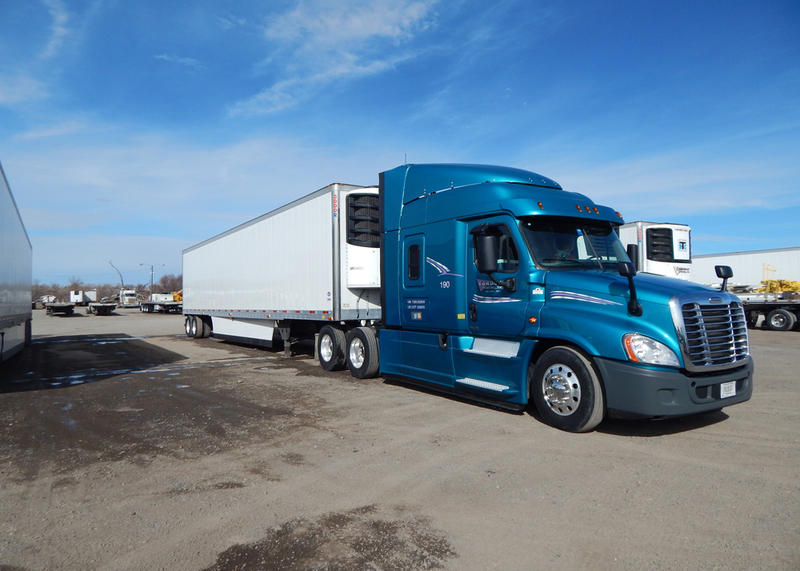 The majority of reefer units that carry food long distances are tractor-trailers, though, as the majority of manufacturers want to make the most of their mileage when transporting perishable foods. While it’s possible to find a job driving a refrigerated straight truck with a Class B commercial driver’s license, most companies hiring drivers for reefer trucks do use tractor-trailers and require Class A CDLs. There are two different cooling methods employed to keep reefer trucks at a stable temperature. The vast majority of trucks feature diesel-powered generators, which supply power directly to the refrigeration unit. In certain rare circumstances, though, cryogenic cooling may also be employed in reefer units. The vast majority of products transported via refrigerated trucks are perishable foods and beverages, including frozen foods such as ice cream, meat, and pizza. However, refrigerated trucks may also be used to transport medical products such as blood for transfusions or temperature-sensitive pharmaceutical medications and consumer goods like flowers, personal care products, and a wide variety of engineered materials. Each of these loads will have different temperature requirements, so it’s important that drivers pay attention to their training and understand how to keep temperatures in their units within the desired range. Each refrigerated truck will feature a thermometer that measures the interior temperature of the unit. These must be checked frequently, as most foods and other consumer goods being transported by truck have strict temperature requirements. If the temperatures in the refrigerated truck begin to dip too low or run too high, the drivers themselves are responsible for adjusting the thermostat and protecting their hauls from spoilage. Most refrigerated trucks make multiple stops throughout the day, which gives drivers ample opportunity to check their equipment and ensure that the temperatures within their reefer units are being kept within an acceptable range. In the event that something goes wrong with the refrigerated unit, drivers must call their carriers immediately and may have to switch their hauls to functioning trucks half-way through their routes if quick, efficient repairs cannot be made. Constantly ensuring consistent temperatures isn’t the only additional responsibility that comes along with refrigerated trucking. More often than not, reefer drivers must also load and unload their own trucks and inspect their own thermometers and cooling equipment. This allows them to ensure that all of their equipment is functioning as intended and the food being carried is loaded appropriately to maintain adequate temperatures. Often, the extra work required of refrigerated truck drivers pays off. These drivers are paid extra for the time that they spend loading their hauls and checking their equipment. Since perishable goods are typically dropped off at multiple locations once they’ve reached their destination cities, drivers’ pay often varies depending on how many locations they must stop at over the course of their days as well. Some companies pay their drivers per mile rates and offer them opportunities to earn bonuses throughout the year. Others offer tenure bonuses, desirable retirement plans, and full benefit packages. 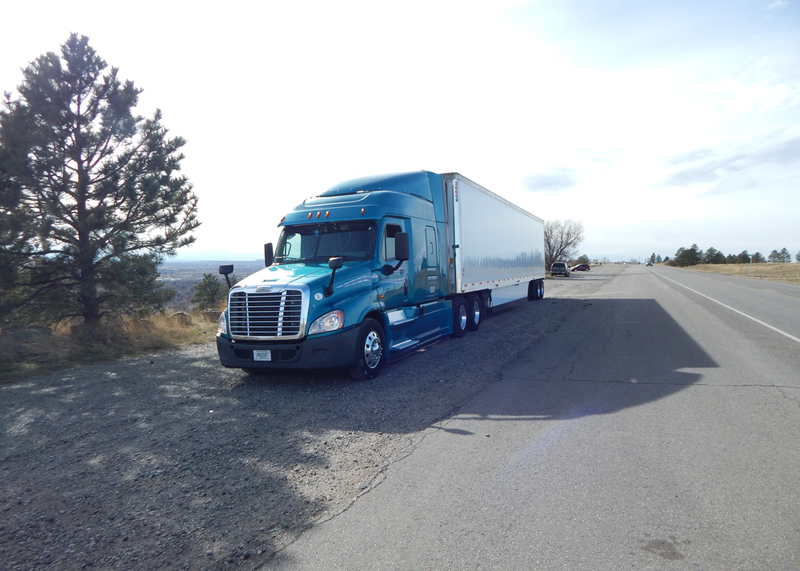 Along with earning a higher salary than those who drive non-refrigerated trailers, driving a reefer truck also comes with several other perks. For one thing, refrigerated truck drivers who have experience and already know the ins and outs of hauling temperature-sensitive goods are always in demand, which gives reefer drivers a higher level of job security. Plus, perishable goods tend to be transported long distances, which often leads to even higher pay. Refrigerated loads are also lighter on average than non-refrigerated ones and are offered better protection from weather conditions, theft, and damage as well as spoilage. This gives drivers fewer things to worry about over the course of delivering their hauls. As noted above, drivers are often responsible for loading and unloading their own trucks and inspecting their own thermometers and cooling equipment. 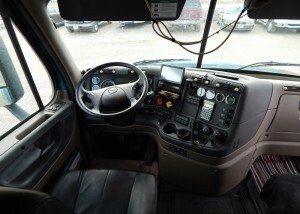 Drivers are typically also responsible for cleaning their units after delivery. They must also ensure that their generators are supplied with diesel each time they stop, which can lead to longer fueling stops, and contend with the constant motor noise coming from their diesel generators. Just like working in any other transport field, job satisfaction in the field of refrigerated truck driving depends largely on what company drivers work for. Corcoran Trucking, based out of Billings, Montana and provides services to all 48 continental United States and even the open frontier of Alaska, has a well-deserved reputation for providing industry-leading driver services and benefits. We have been in operation for more than 50 years, and we know what works and what doesn’t.